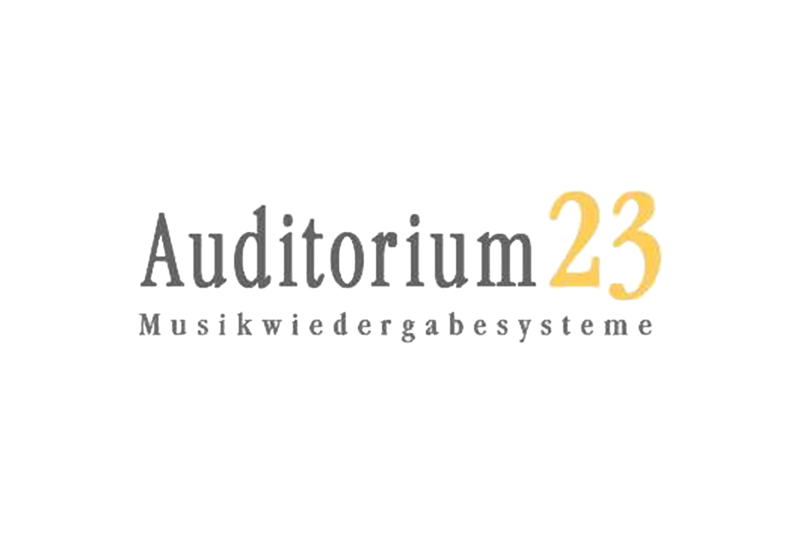 The Homage 22A is the current top model in the speaker line from Auditorium23 and are a blend of history and modernity. 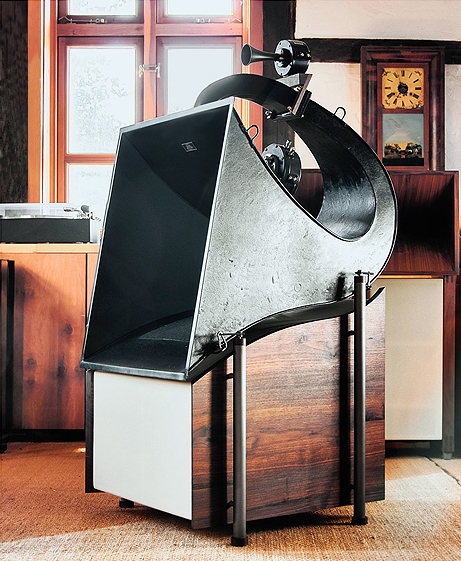 Based on dimensions that are still living room friendly, it uses the 22A horn from the legendary company, Western Electric, original examples of which now reach top prices at auctions worldwide. The realization of this concept was made ? ?possible by using first-class, yet affordable replicas of the chinese manufacturer Line Magnetic Audio, whose founders have dedicated themselves to the task of both the historic amp line and the loudspeakers and drivers from Western Electric, and not least through the dedicated efforts of acoustic engineer Uwe Meyer. The result, after almost a year's work is a new music standard. To us no modern horn system of this size is known, which is able to present the musical message at a similar level. The Homage 22A is a finished concept by using the 22A Horn from LM, the LM 555 driver and the LM 597 tweeter. One of the curved silhouette of the case houses two bass horn following different diameters and different parameters. 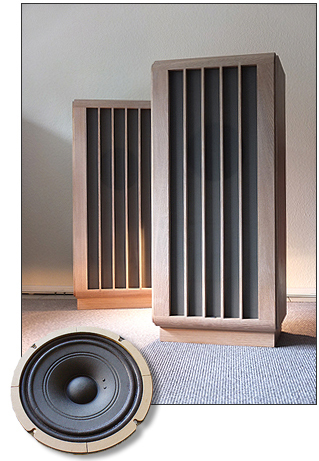 The electronics used in the loudspeaker allows separate volume control, and are thus adaptable to the room. The semi-active solutions allow both speakers, the LM 555 and LM 597 with best low-power electronics to "feed" without generating negative interaction from the activation of spurious bass boost. The positioning of the tweeter can be flexible in the set up, a custom-built for this purpose holder was attached to the horn throat. Bass enclosure and horn are held by four bronze rods with wooden end caps. The case sides are available in walnut, maple, limed oak available, and the body is covered with high quality fabric. The concept of Cinema Hommage speaker has haunted us for some time in our heads, but the realisation failed due to the lack of availability of the required components and on the other hand, in economic terms to still be reasonably feasible. That the realization of this project one day by a manufacturer in China should be possible, we would certainly not have guessed. The main transducer is the LM 555 compression driver from Line Magnetic, an excellent replica of the legendary Western Electric 555. They also produce a replica of the 597 tweeter from WE, which will be used in the production version (in the picture of the tweeter was not used). Uwe Meyer an expert in room acoustics developed the horn, which in the "Cinema" is made from spruce and connected by an adapter made ? ?of cast bronze to the driver. The horn shown in the illustration was provided with thick-walnut veneer. In its cabinet, the horn is about 1m in length. All exposed wood parts are made of solid wood, both the four sides as well as the housing of the line of the horn are covered with high quality fabric. This speaker to a partially active. The two woofer bass enclosure work at different crossover frequencies and sensitivities. The power amplifier modules used for this run in class A/B. The large power supply uses selenium rectifiers with good adjustability and the amplifier modules were specially developed for us by AcousticPlan. 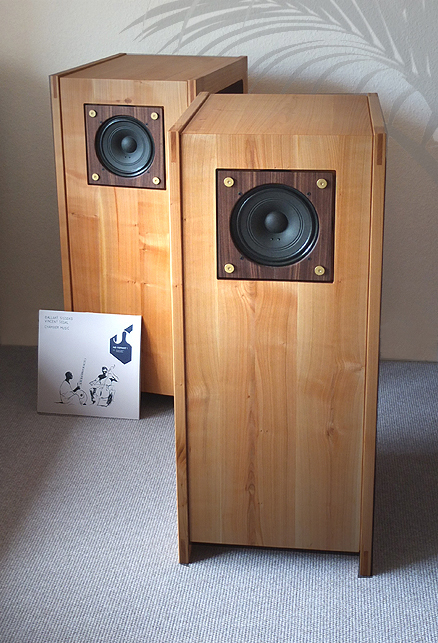 The speaker fills slightly larger living spaces. Its ease at low volume allows the feeling of the music to be realised, without the need to push the volume up and up. The Hommage Cinema is intricately handmade by Uwe Meyer in small numbers. Keith Aschenbrenner received the plans for this cabinet from Ken Shindo almost 25 years ago. It was the friendship with him that gave him valuable insights into long forgotten knowledge of loudspeaker construction. replicas alongside the originals. Excellent remakes by LineMagnetic from China at affordable prices paved the way for the realisation of concepts which for long had been kept in our drawers. permission to use his construction plan with the now available LM 755 driver, which was granted. His sudden death caused Keith to devote this speaker to him and consequently it was named "Hommage Ken". maintained in all parameters by LineMagnetic. The extreme complex and costly magnetic Alnico-structure, the thin pole plate, the 'overhanging` wound voice coil (manufactured for the first time by WE and a feature of all drivers of the 7 series), the accurate and well considered large conception of the spider in a wisely produced basket with little windows, the flat course of the membrane, built as a one piece dome-construction out of the cellulose-pulp  properties which Western Electric accurately elaborated in the 1940s. More than a few consider the WE 755 to be the best fullrange driver. As with the other A23 speakers 'Hommage Cinema' and 'Hommage 22A' you again will find fabric covered side walls. The careful tuning of driver and cabinet and as the sonic performance confirms, the LM replica of the WE 755 is one of the best fullrange drivers you can purchase. With the appropriate and context based electronics, tonal results are achievable that one would not expect from a fullrange driver. From the mid-40s Western Electric started using improved magnetic materials chassis designed with Alnico magnets. At this time came the 7 Series models 728, 754, 713, and in the smallest form of a 20 cm wide strip WE Unit 755. This driver has been almost impossible to find for many years on the world market. Line Magnetic Audio has provided us with the production of the LM 755 Alnico - which has given the opportunity to design a wideband speaker solution. The timeless aesthetic of the design of the WE 753 speaker has prompted us to adapt it to our new speaker line. The case shown here are made ? ?from solid limed oak, other versions are possible on request. They are matched to the parameters of the permanent magnetic LM 755 / Alnico. With a height of about 90 cm, the 755 is the baby in the speaker series and integrates well with its sleek, elegant look excellent in the home with great musical results, as found only in really good widebanders.